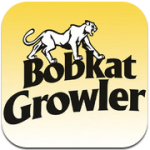 Find out what is on tap at Bobkat Growlers! We have 8 taps with a constantly changing variety of craft and specialty beers. Stop on in today and pick some up. We also offer a large selection of wine and spirits. Please download the iOS or Droid version of our app. We can’t wait to see you!